Very tasty preparation of Gopi-Peas Masala.if u r using dry greenpeas,then soak it overnight and then use.This dish needs 12 mins microwave-cooking time. Try at home and drop ur comments. Take a microwave bowl and add refined oil,chopped onions,cumin seeds,mustard seeds,split urad dhal and curry leaves. Add all the other ingredients including 3/4 cup water.Mix all the ingredients well so that the masala gets evenly spread and Microwave(high) this for 12 mins. 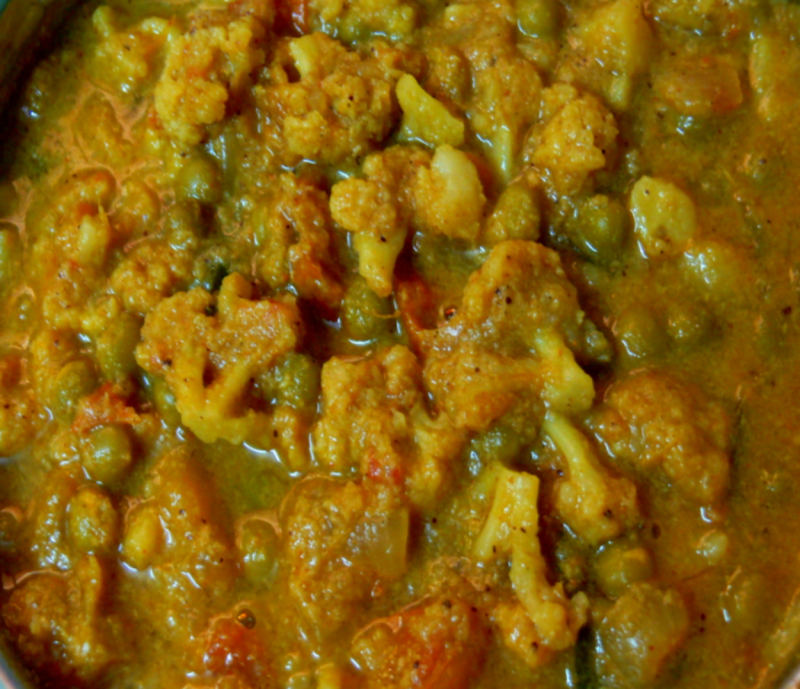 Serve this tasty Gobi-mattar masala with rice and Curd or chapathi or Idli. I would request the method to make the above recipe on a stovetop. Not everyone has a microwave. Thanks. Hi Mr shah,do the tadka first ,then mix all the other ingredients and cook for 12 mins atleast or till done.